One of a kind festival! Did you know the UK is the biggest consumer and producer of radio plays in the world? More than one million people listen to radio drama every day! Come to Canterbury between 18 and 22 March and listen to more than 40 plays from 18 countries in 15 languages over five days. The 5th UK International Radio Drama Festival is the only one of its kind. 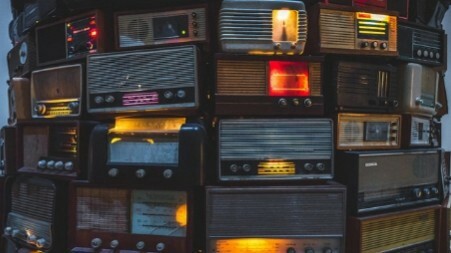 It celebrates radio plays in all languages and a range of cultural styles, sharing the very best dramas from national broadcasters to independent producers spanning a range of genres. This year the festival attracted 60 entries from around the world, ranging from a couple of minutes long to a full hour. At Canterbury's Caffe Nero, sit back and relax with a cuppa and a scone and join a listening session , where e-readers with English and translations will further enhance your experience. All sessions are free! Or listen in your own time via the festival website. Either way, this is the perfect opportunity to experience some of the greatest radio drama in the world! At the end of the festival, a jury made up of audio drama professionals from the UK and abroad together with votes from the listening audience decide the winners of the much coveted best full length, best short form (less than 7 minutes) and audience choice awards. “This is a very special festival. It constantly surprises and delights me — whether it is a perfect two minute gem or a totally immersive hour long soundscape. But it is the opportunity for everyone — professional or audience member alike — to talk to each other about the work they have made or heard over a cup of tea which makes it so unusual. For latest news and festival events, follow them on Facebook. For full details and the festival programme, visit their website.